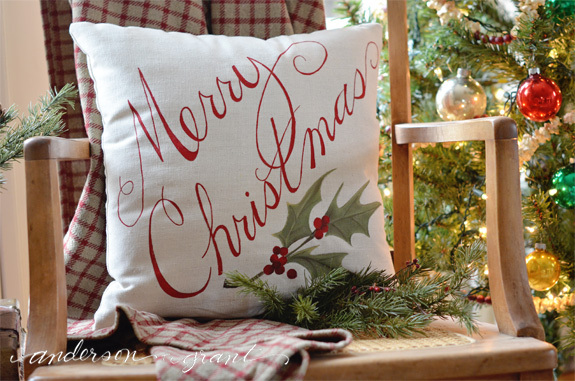 Today, I'm sharing a tutorial at Live, Laugh, Rowe for making this beautiful Christmas pillow to display on your bed, couch, bench or anywhere you need an extra little holiday touch. Decorative pillows are that final touch to any room, and they can add a great pop of color, pattern, or texture to any area. 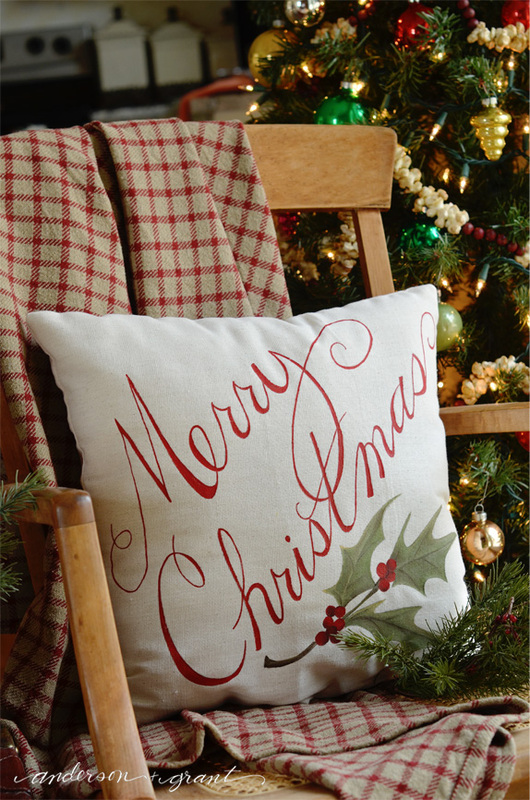 I designed this pillow on a neutral fabric so that it can be added into almost any space for the holiday. To see the entire post and print the PDF pattern, click here.